TBH, we'd do the same. 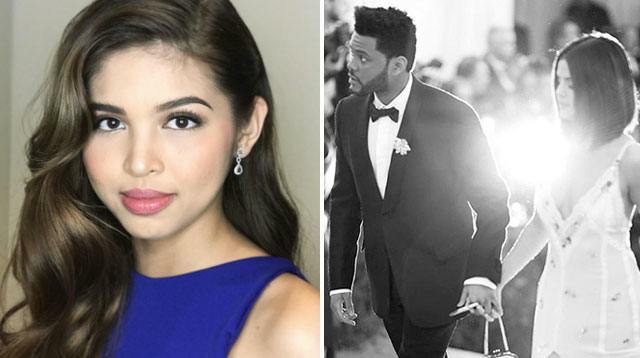 Apart from Maine Mendoza's many fangirling Coldplay moments, our May Cosmo cover girl also checks out Hollywood stars' social media accounts on the reg—proving she's a stalker like you and me! 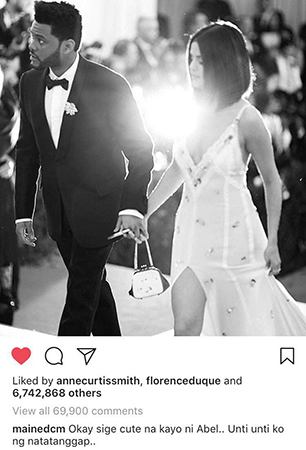 When we scrolled through our IG feed, we noticed a certain @mainedcm pop up as one of the top comments on Selena Gomez's posts! And girl just got real when she shared her thoughts about Sel's relationship with The Weeknd (Abel Tesfaye). Writing on Sel's Met Gala couple pic, she said: "Okay sige cute na kayo ni Abel.. Unti unti ko ng natatanggap.." LOL! We so get you, Maine! Even if it's kinda hard to imagine Selena sans Justin Bieber and Abel without Bela Hadid, #Ablena sure is one fiiiiine couple.